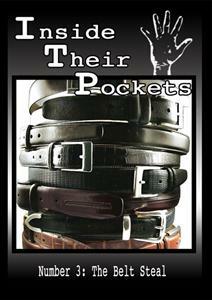 Discount Magic - Inside Their Pockets Dvd Vol 3 The Belt Steal. On this wonderful volume, you'll learn how to remove a complete stranger's belt right from under their nose. It's easy if you know how, and Sam will teach you all the ins and outs of the belt steal, leaving nothing to the imagination! Long coveted as one of the most difficult steals in the art of pick pocketing, The Belt Steal is shown here in simple detail. Taught concisely in less than ten minutes by Sam "The Gambit" Rubman!